This sandwich is perfect for a football party. There is quite a bit of prep time, but most of that can be done the day before. 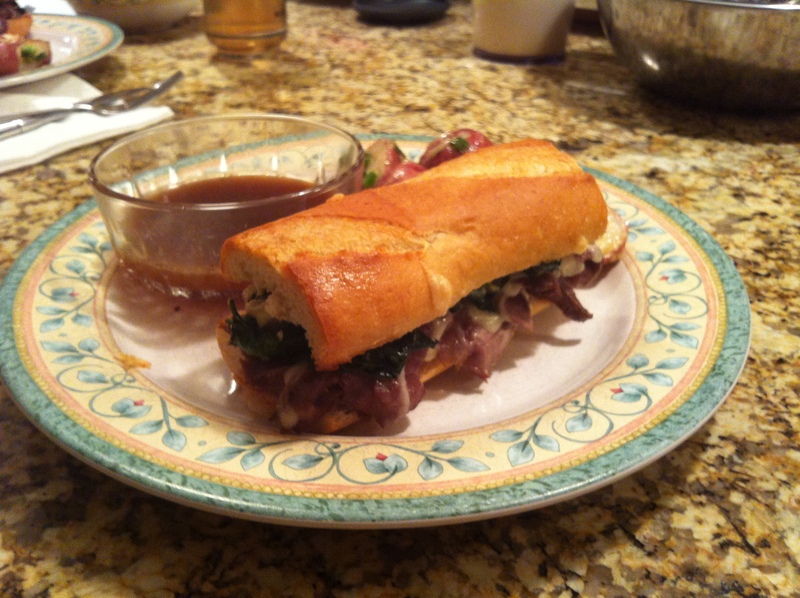 The jus is quite sweet from the onion but also has good savory flavor and really makes the sandwich. The double baking of the bread makes the crust crispy but the inside of the roll soft. All of the ingredients in the sandwich compliment each other well and the jus compliments the sandwich perfectly. You can find the recipe below. 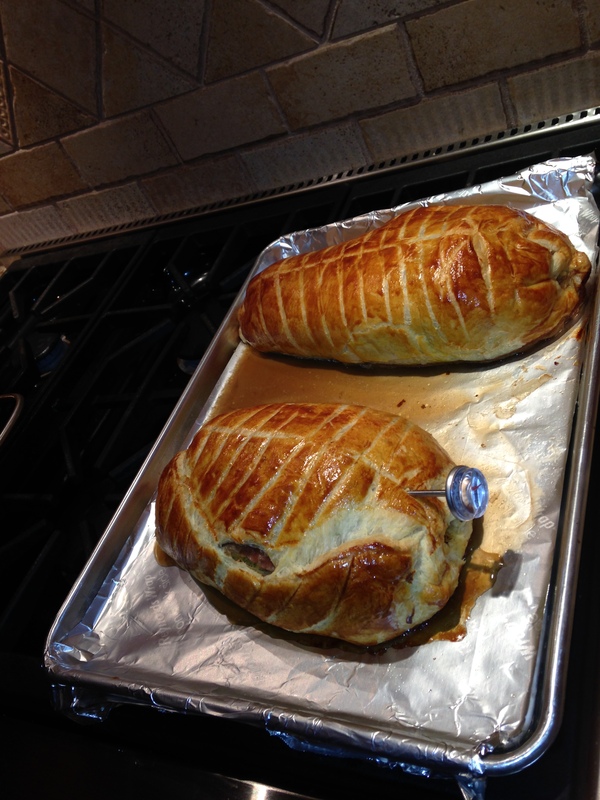 This past weekend I finally made beef wellington. 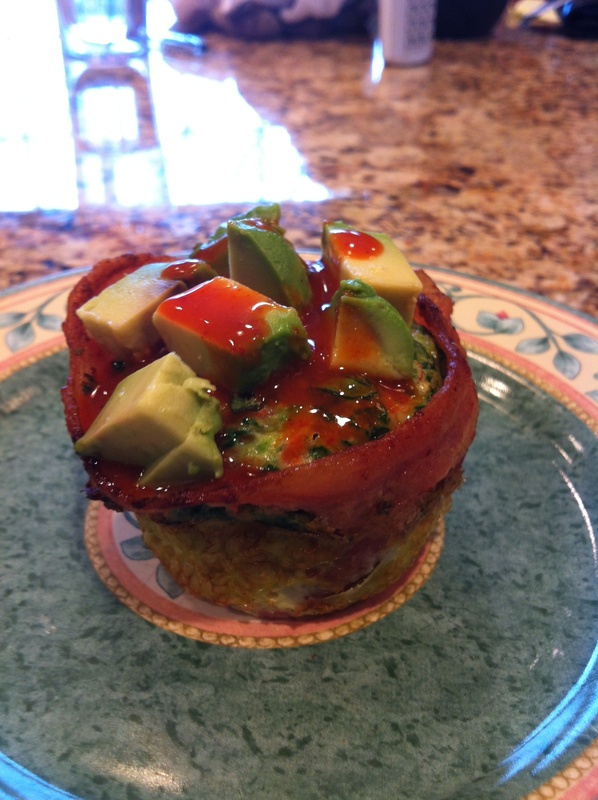 This dish has been on my list of dishes to try ever since seeing it on MasterChef. I did a lot of preparation and research before making this dish so I could understand all the steps involved in making such a complex dish. 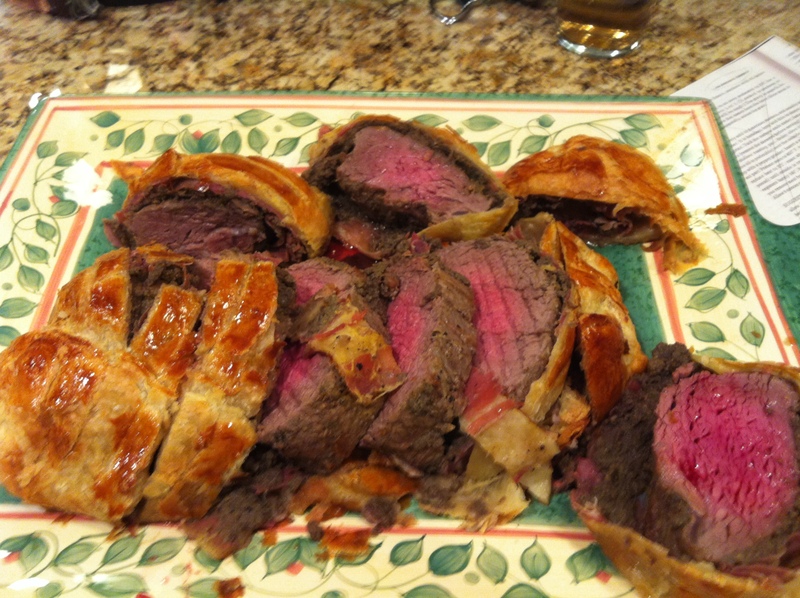 I combined a few different recipes but this video was a big help in seeing how to execute some of the more technical aspects of this meal, beef wellington video. 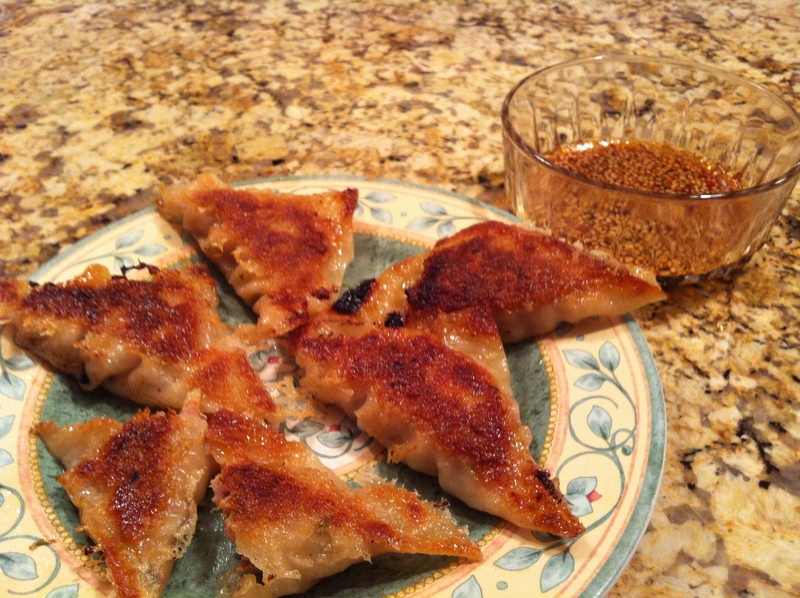 This recipe is for special occasions. It takes a lot of time to prep but in the end it turns out great. 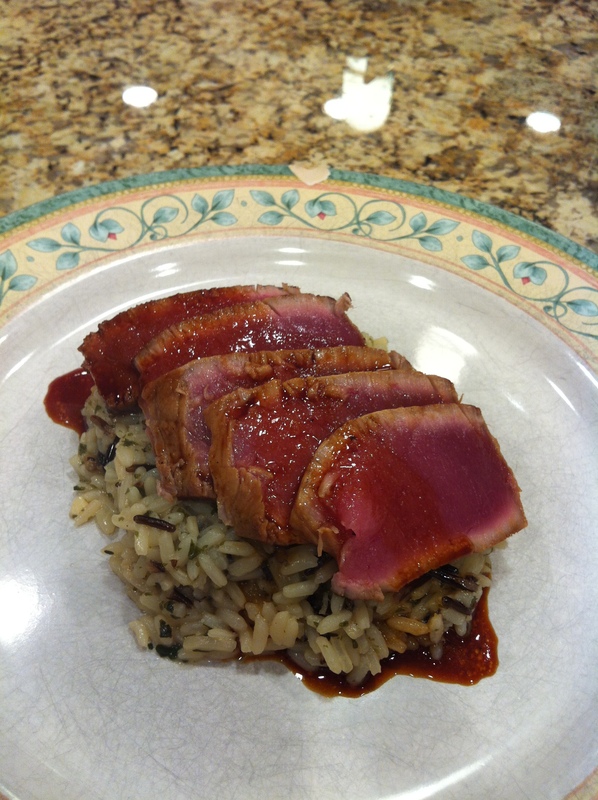 just make sure to take your time as you work through the recipe and trust your meat thermometer. 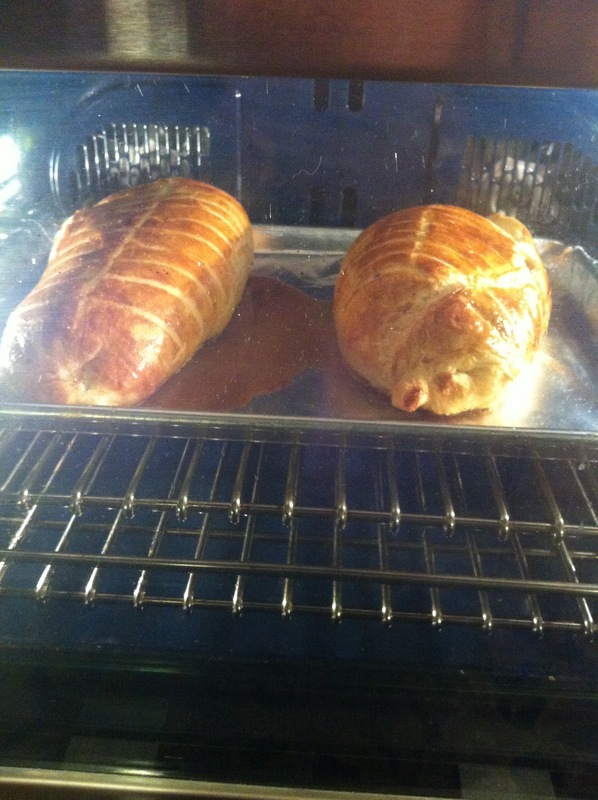 For a nice medium rare pull the wellington out of the oven when the internal temperature reaches 125. As the roast rests it the temp will rise to 130-135. 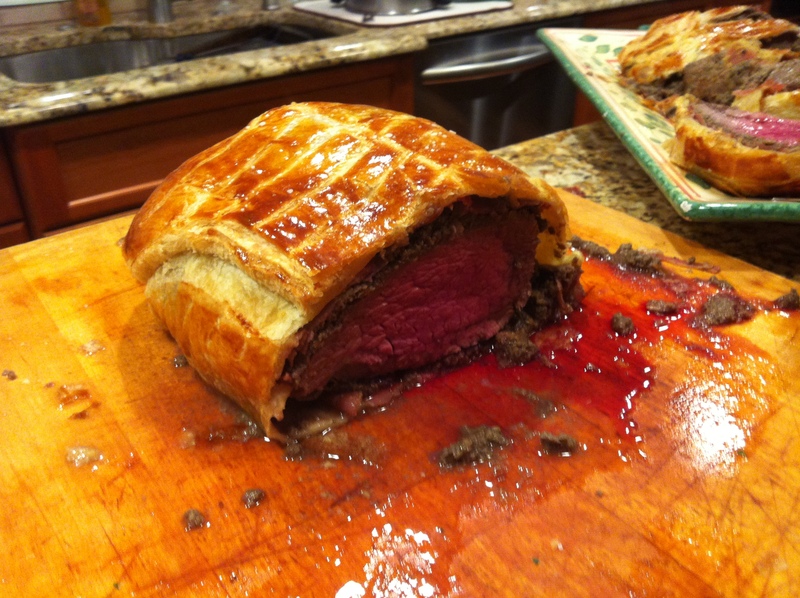 When cutting the wellington use a sharp chef’s knife to prevent the pastry from shredding and falling off. Enjoy. Tomorrow morning I am going to the open casting call for MasterChef in Philadelphia. I have been working on the dish that I will be presenting for a few weeks now and am finally happy with how it tastes and how it looks when plated. Coming up with this dish was a fun experience. It allowed me to work with blending and mixing flavors as well as helped me with plating creativity. I’m very excited for this opportunity and will write about my experience at the casting call in an upcoming blog post. For right now I’m keeping the dish I am submitting a secret but I will also write about the process I went through to create the dish in a future post. Yesterday I tweaked the Cajun Shrimp recipe and served it over pasta. Like the original recipe I poached the shrimp in the water, wine, pickling spice mixture. I also sauteed up a bunch of veggies like peppers, tomatoes, garlic, shallots, and spinach. You could add any other vegetables you want. 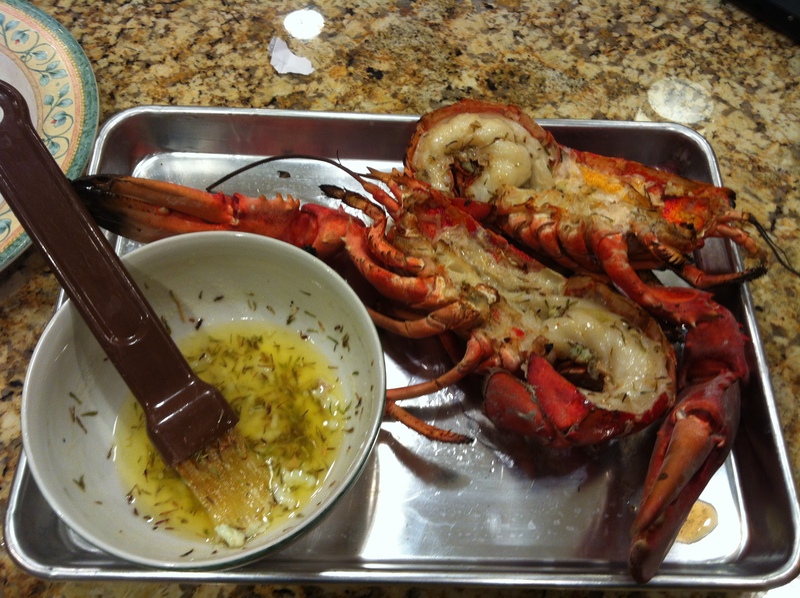 To make the sauce I combined four tablespoons butter, 1/4 cup olive oil, 1/4 cup sherry, 2/3 cup shrimp stock, and 2 tablespoons Cajun spice; stirring until the butter melts and everything is incorporated. When you saute the vegetables use the Cajun sauce instead of butter or oil. 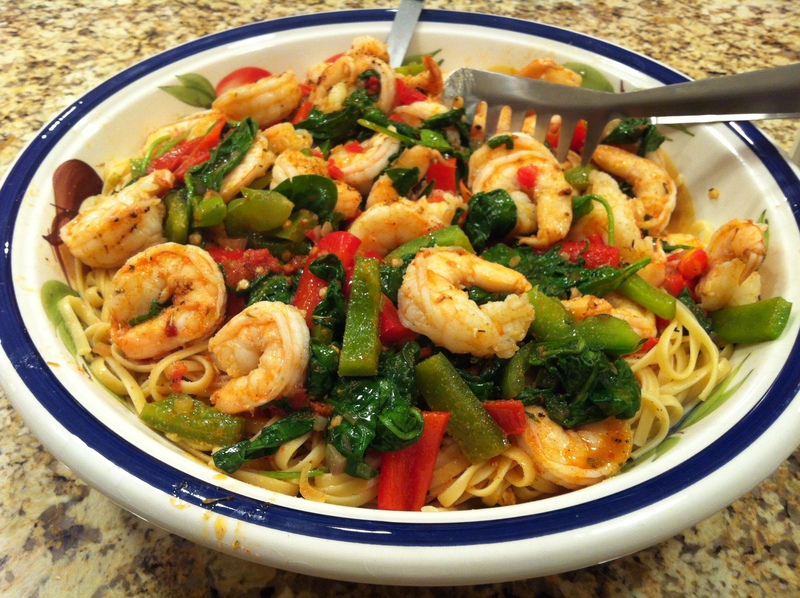 Cook the shrimp, vegetables and pasta then mix together and pour sauce over. 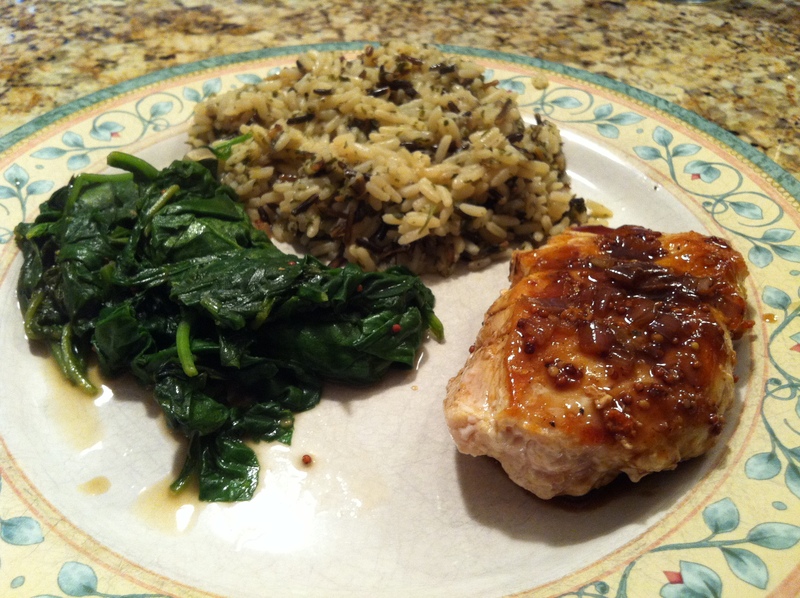 This was a last minute throw together dish last night that turned out surprisingly well. It’s relatively simple and allows for a lot of creativity, Enjoy!